Over twenty-five residents of the Chicken Soup Factory Community on Wednesday, November 14, 2018 were admitted at various local hospitals in Monrovia after inhaling the smell of ‘undiluted’ chlorine. According to eyewitnesses account, several persons including women and children were seen fleeing their homes and holding their noses to avoid the polluted odor of the hazardous chemical. Authorities of the Environmental Protection Agency (EPA), the Liberia National Police (LNP) and some health workers from the Ministry of Health were said to be on the scene of the Chichical spill but fail to institute a mechanism to mitigate the problem. “They all were here but could not do anything but instead told us to vacate the area because the odor of the chemical could cost us our lives,” one of the eyewitnesses told The Monrovia Times via Mobile Phone. However, some residents in the area also expressed concern that the situation could lead to many deaths if nothing is done by the government to remedy the problems. They asserted that there are too many open wells in the community that could also be polluted if the chemical is not properly disposed of from the area. 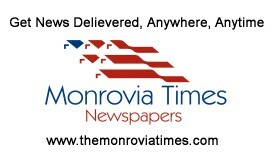 Meanwhile, when The Monrovia Times Contacted the Manager of the scrap company, he regretted the situation and pleaded for forgiveness from the general public. According to Theophilus Adam, it was not his intent to create a health problem for the public and that the chemical leakage is as a result of an accident. “This is my country too and I am not happy about what happened today. I really regret this and I promised this will not repeat itself,” he averred in a very sympathetic tone. He promised to underwrite whatever medical bill that will emerge following the hospitalization of citizens as well as work with the relevant authorities in resolving the situation amicably.